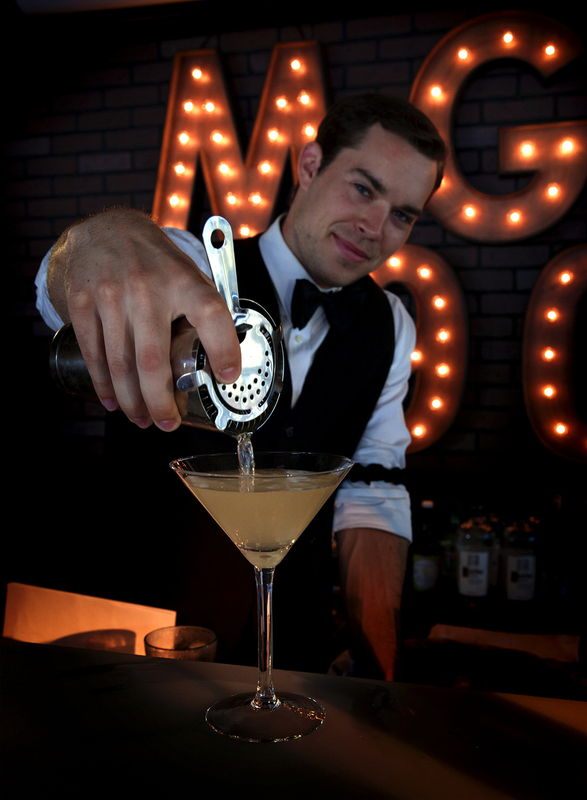 MGM celebrated it's 90th Anniversary Party with a Roaring 20's party complete with flappers and a speakeasy. 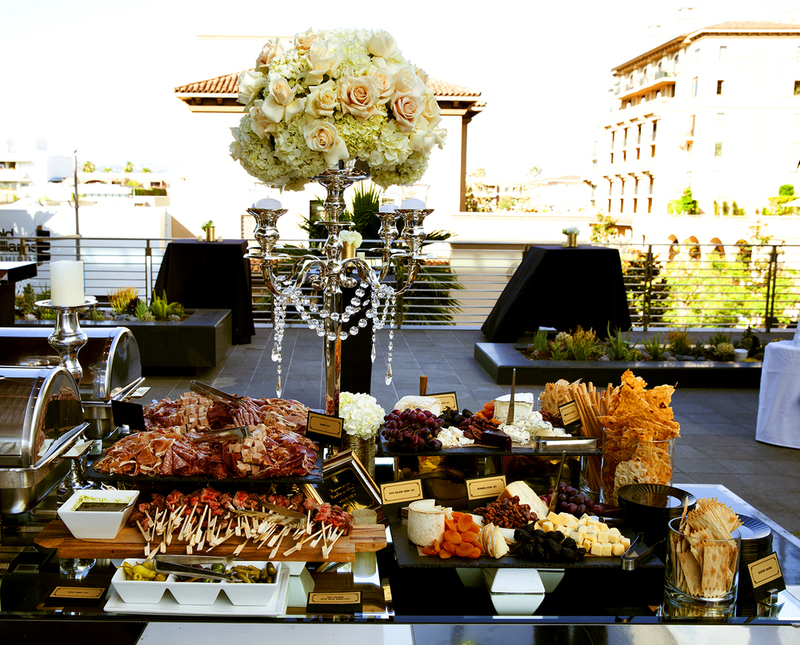 Love Catering provided created cocktails like the Pink Panther's Prohibition Punch and the Dirty Rotten Scoundrel Martini. 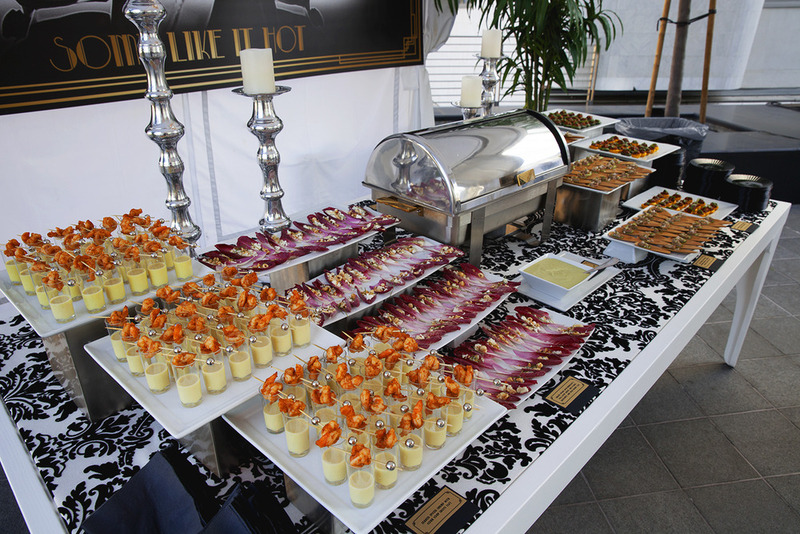 To dine, in the Some Like It Hot cabana, we served bites like spicy chicken taquitos with poblano crema and seared spiced shrimp with corn soup shots. 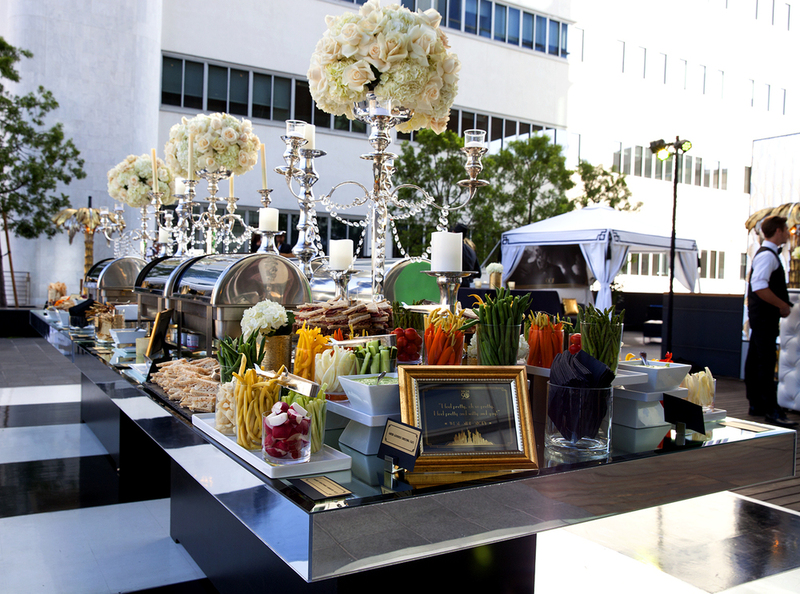 The Main buffet featured When Harry Met Sally turkey reuben and pastrami sandwiches with Moonstruck margherita pizzas. The Speakeasy bar also included the gorgeous dessert display and sweets included vanilla panna cota with macerated strawberries.